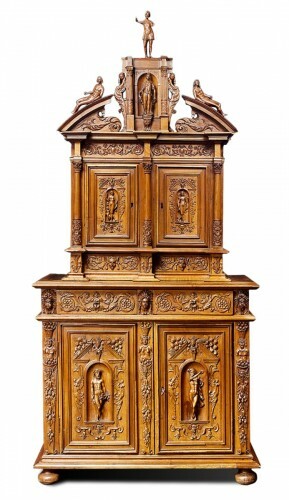 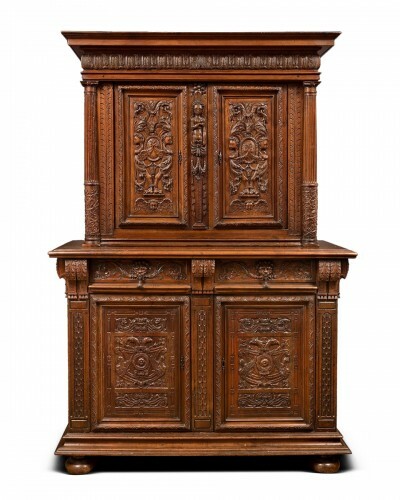 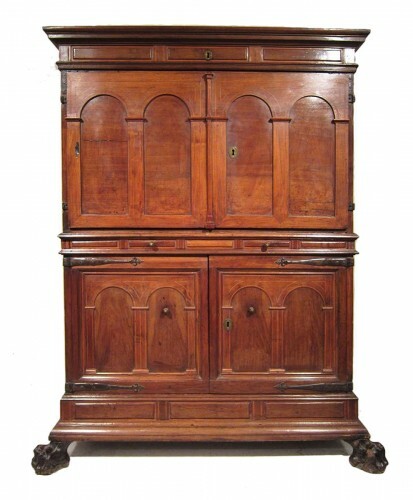 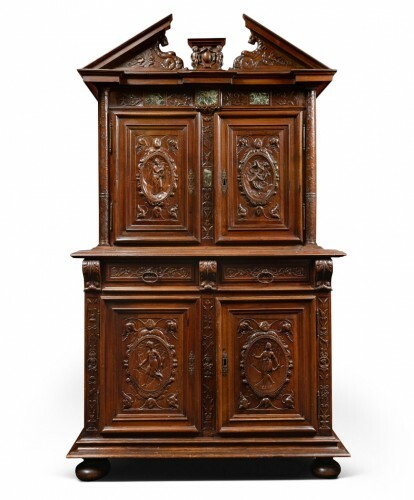 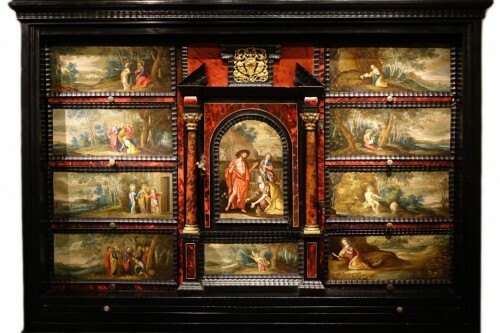 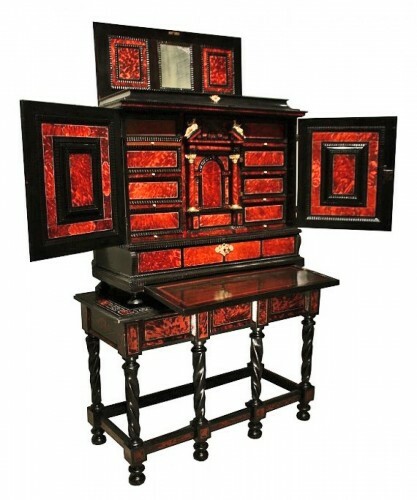 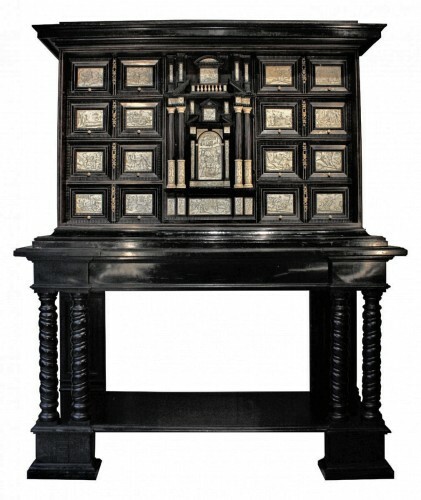 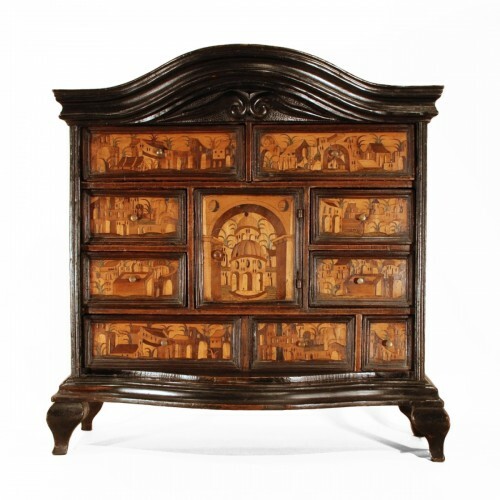 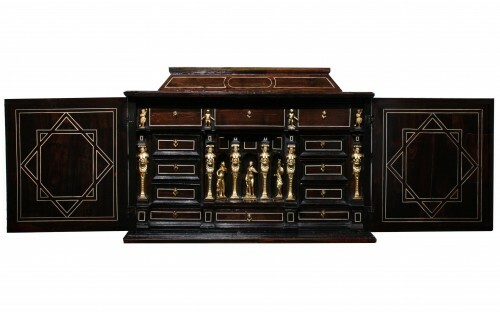 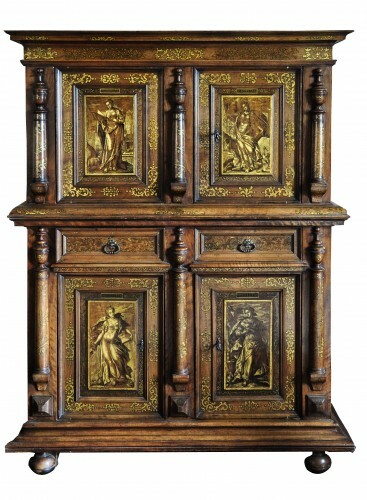 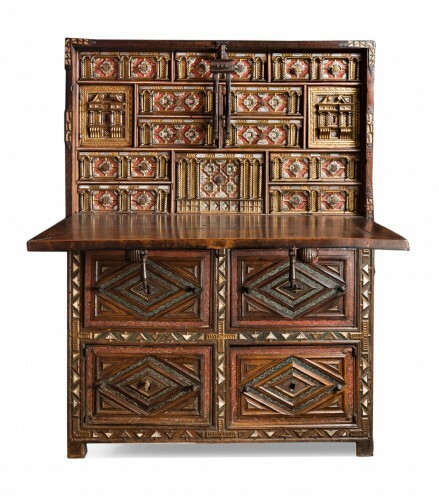 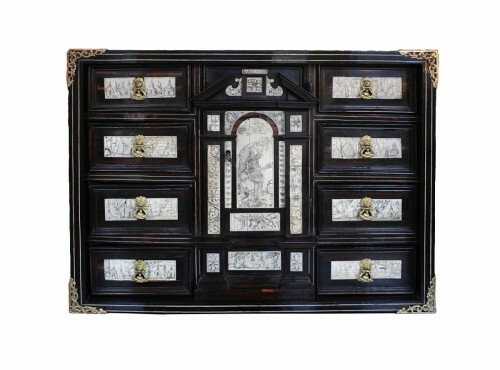 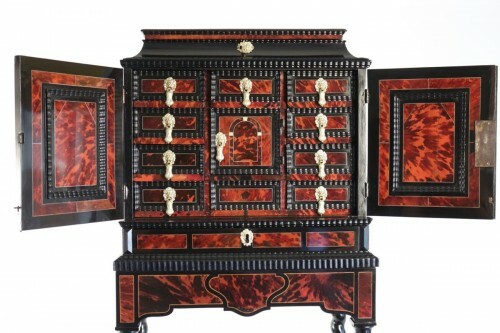 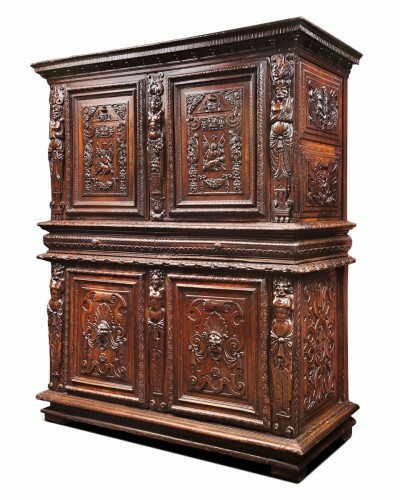 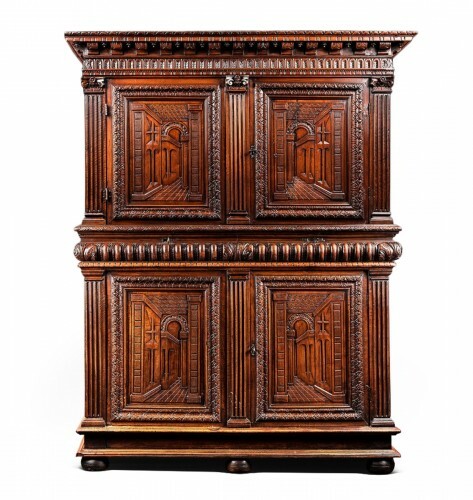 17th century German Cabinet to "herbes folles"
The first cabinet dates from the Italian Renaissance. 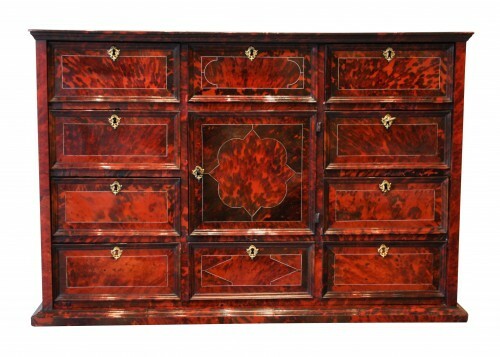 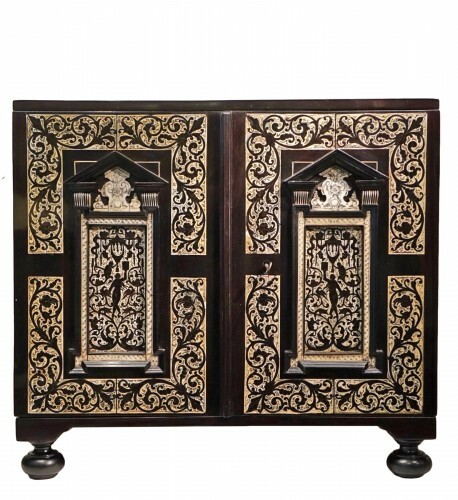 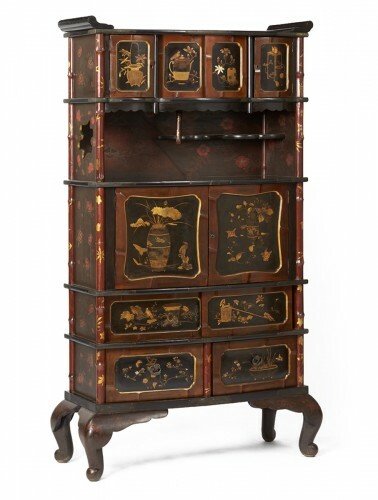 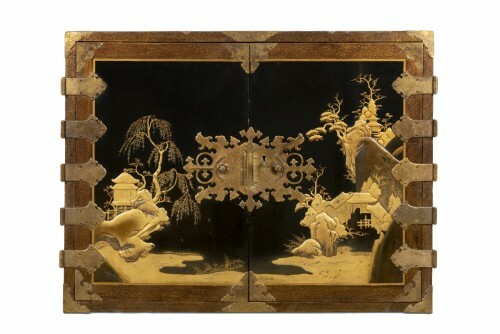 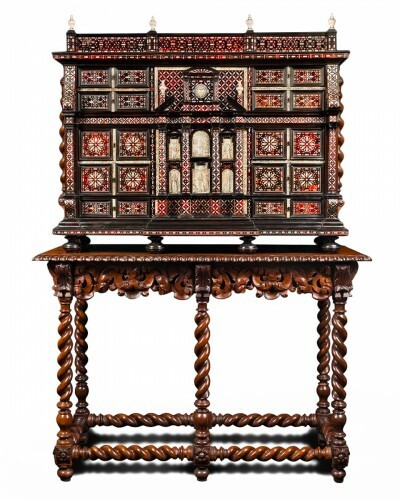 A richly decorated piece of furniture, it featured various decorative influences from every part of Europe: Flanders, France, the Netherlands, Germany, the United Kingdom, Portugal, and even inspiration from the Far East; adorned with inlay of mother-of-pearl, marquetry, veneer (ebony, burled walnut, and dyed pear-tree wood), and red tortoiseshell, the cabinet highlighted the beauty of hard stones and metals (tin and copper). 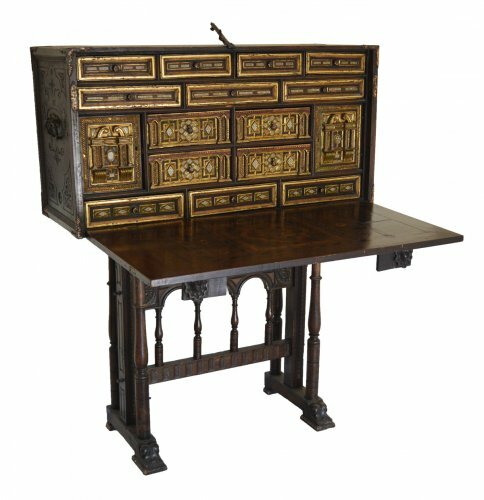 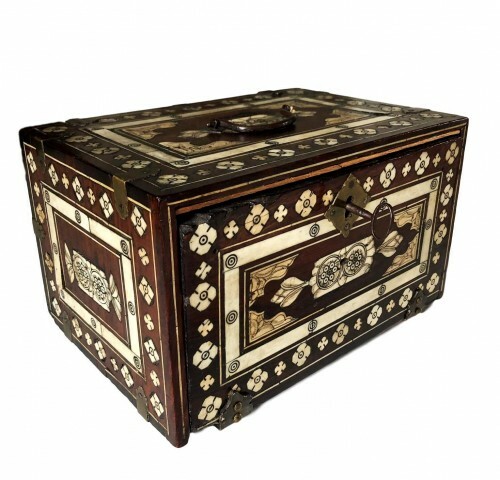 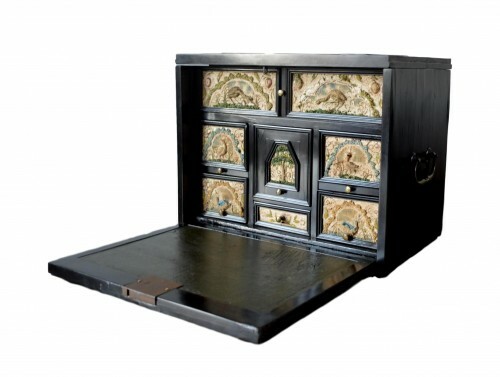 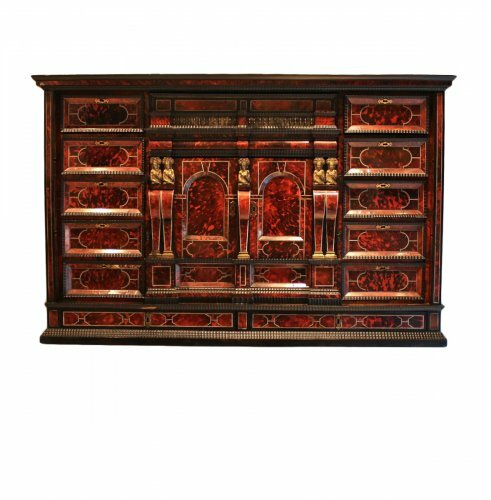 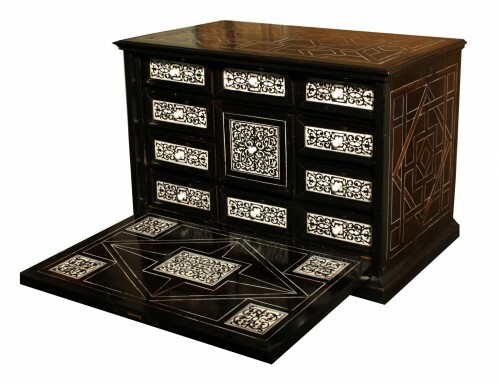 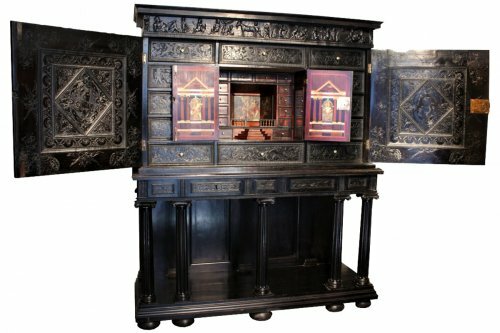 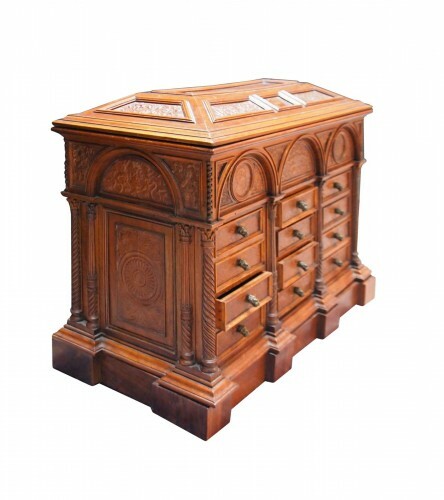 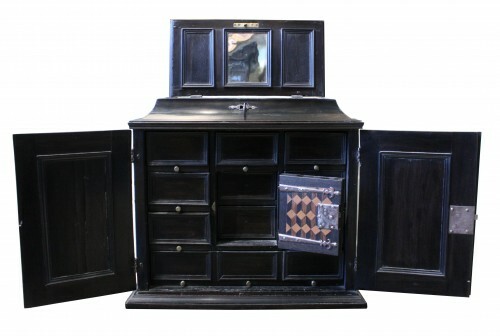 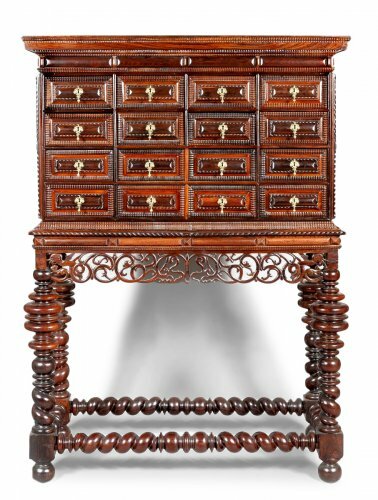 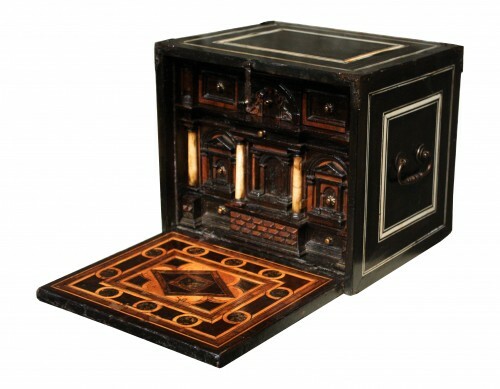 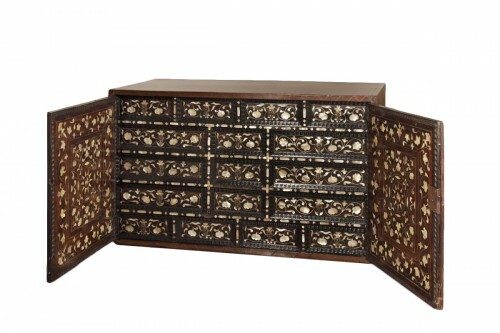 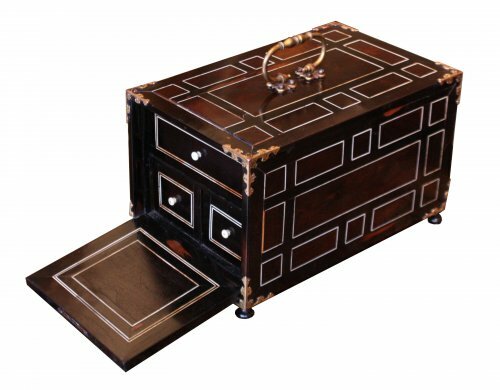 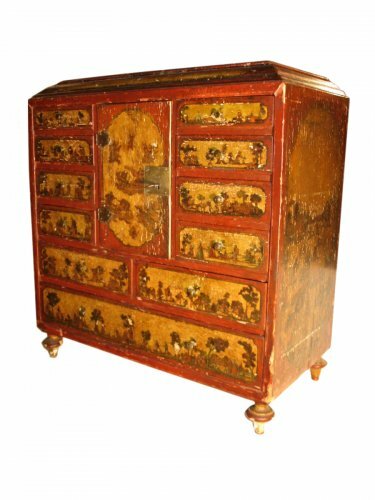 A very fashionable item of furniture, it had behind its façade—filled with small drawers—many secret compartments, which turned it into a confident or an ideal piece of furniture for jewellery. 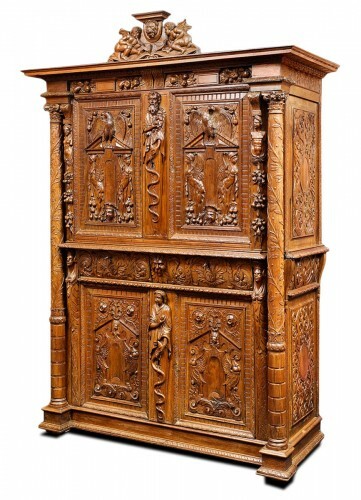 Its legs were in the form of twisted, caryatid, or spiral colonnettes. 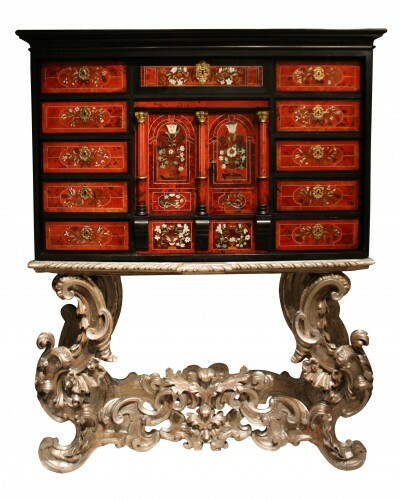 Adorned with embroideries, paintings, and carvings sculptures, it is a feast for the eyes for those who adore absolute refinement.